Gangesa Misropadhyaya deals with 64 methods of logic in his Tattvacintamani. Since we were taxing our brains with philosophical questions, let me tell you a story, the story of Gangesa. Gangesa was dull-witted in his youth. He belonged to a "kulina" Brahmin community of Bengal. "Kulina" means one from a good "kula" or clan. It was a custom in Bengal to give away a number of "inferior" Brahmin girls in marriage to young men born in "kulina" families. A kulina would sometimes take more than fifty wives. Gangesa had only one wife and he lived with his in-laws. Who would give away more than one girl in marriage to a dull fellow? Bengalis eat fish. Six months in a year the whole land is inundated. There is no place then to grow vegetables. So during these months Bengalis eat fish. In the eastern parts of Bengal fish is called "jala-puspa" and regarded as a vegetable. Fish was regularly cooked in the house of Gangesamisra's in-laws. People would call him "Ganga". Since he was slow-witted he was thought to deserve only the bones of fish at mealtime. Others were served the flesh and everybody would make fun of him. Gangesa, unintelligent though he was, could not stand it any more. One day he ran away from home, went to Kasi without telling anyone. Nobody bothered about it at home. "Let the stupid fellow go wherever he likes, " they told themselves. Many years passed. One day, Gangesa returned home. People thought that he must still be an idiot. When he sat down to eat he was as usual served the bones of fish. Thereupon Gangesa exclaimed "Na'ham Ganga kintu Gangesamisrah" (I am not Ganga but Gangesamisra). Were he still the the dim-witted Ganga of the past it would have been all right to serve him the bones. Now there is a "Misra" tagged on to his name. It meant that he had returned home with a qualification or a title, that he was now a learned man. The message was brief but clear. The in-laws realised that Ganga was now a great man. It was the same Gangesamisra who later wrote the Tattvacintamani. Many have written commentaries on it. The one by Raghunathasiromani is called Dhitti. It was after his time that the title "Siromani" came into use. Gadadhara has written a big tome to comment on ten sentences of Tattvacintamani, and not one sentence of it is superfluous. If a student reads five arguments presented in Gadadhari (Gadadhara's work) he would become a wise man; if he studies ten, he would be wiser still. Pramanya-vada is dealt with in it and it is believed that he who studies it will be brighter than all others. Gadadhari is still read by students of logic. From such incidents we know how wrong it is to say that in olden days only men in India were educated and that the women were condemned to remain unlettered. Not only females of the human species, even birds- in the present case "young parakeet women" (kiranganas)- discussed philosophy. " When you come to the doorstep of that house where the female parakeets discuss svatah-pramana and paratah-pramana, know that house to be that of Mandanamisra, " is what the women said to Sankara. Svatah-pramana and paratah-pramana are part of the pramanya-vada I spoke to you about earlier. Let us now try to have some idea of this vada. An interesting story comes to mind. A Southerner went to Navadvipa in Bengal to learn logic. Most of the logicians in the country were then in Bengal. This Southerner who went there was a poet. Through his poetry he had earned a small fortune. Tarka was too tough for him and he could not make head or tail of it. All his efforts to study it were in vain. In the bargain he lost his poetic muse and now he had also spent all his money. If he had retained his poetic talent he could have still earned some money. With the little poetic talent left in him he lamented thus:"Namah pramanya-vadayah mat-kavitvah paharine" (I bow to pramanya-vada that has robbed me of my poetic talent). Let us briefly examine the pramanya-vada which the parakeets were discussing. When we see an object we form a certain idea of it. Some kinds of knowledge are right and some, wrong. When we see a piece of glass we may think it to be sugar-candy. This is wrong knowledge. Right knowledge is "prama", wrong knowledge is "brahma". Then there is "samsaya-jnana" as well as "niscaya-jnana". "Samsaya-jnana" is knowledge about which we have doubts and "niscaya-jnana" is knowledge of which we feel certain. Sometimes, though our knowledge of an object (as we see it) is wrong, we think it to be right. An example is that of glass being mistaken for sugar-candy. Then there is the case of our perception of an object being recognised to be wrong at the very time we see it. For example, a tree seen reflected upside down in a pond: this is "apramana". At the very moment of our recognition an object we have two kinds of knowledge about it -pramana and apramana. What seems true to us at the very moment of our seeing an object is "pramanya-graha-jnana"; and what seems untrue at such a moment is "apramanya-graha-askandhikajnana". In brahma too as in prama there is pramana-jnana. That is why when we mistake glass for sugar-candy our knowledge seems pramana. When an object appears to be true (pramana) or false (apramana), is the perception subjective(arising out of ourselves) or objective (arising from the object itself)? If it is subjective it is "svatah-pramana"; if objective "paratah-pramana". The parakeets in Mandanamisra's house were discussing these two pramanas. Whether our perception is pramana or apramana is not a subjective matter. It is dependent on the quality of the object perceived. It is only when we know its usefulness in practice that we can confirm whether our perception is right or wrong. This is the view of Nyaya- whether our perception is right or wrong is objective. The view of Mandanamisra and other mimamsakas is the opposite. Mandanamisra's view is this: certainty about jnana is dependent on the jnana itself. But that our jnana is apramana is dependent on the outside object. "Pramanyam svatah; apramanyam paratah". The word "vada" itself is nowadays wrongly taken to mean stubbornly maintaining that one's view is right. As a matter of fact it truly means finding out the truth by weighing one's view against one's opponent's. It was in this manner that Sankara held debates with scholars like Mandanamisra and it was only after listening to the other man's point of view that he arrived at non-dualism as the ultimate Truth. Vada means an exchange of thoughts, not a refusal to see the other man's point of view. To maintain that one's view of a subject is the right one without taking into account the opinion of others is "jalpa", not vada. There is a third attitude. It is to have no point of view of one's own and being just contrary: it is called "vitanda". Nyaya received a new impetus, particularly in Bengal, after the dull-witted Gangesa, having blossomed into a great intellect, returned from Kasi, that is from the 12th century onwards; and it became to be called "Navya-Nyaya", "navya" meaning new. The is also another reason for this name. Gangesa and others who came after him belonged to Navadvipa in Bengal. The area is now called "Nadiad". Sri Krsna Caitanya belonged to Navadvipa. 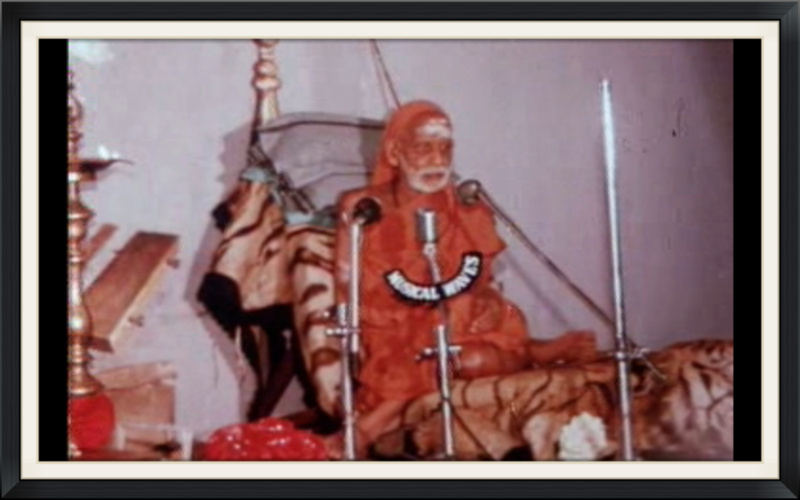 He was a great scholar, a master of many sastras and had the name of Krsna always on his lips. He propagated bhakti, especially through bhajana(singing the praises if the Lord) as the path to liberation. Nyaya holds that the world is real (not Maya), that the Paramatman is different from the individual self. Even so it was opposed to atheism and established the existence of Isvara. Besides it laid the foundations for the path leading us to Advaita. Nyaya is an Upanga of the Vedas and is highly intellectual in character. Puranas come next in the fourteen branches of learning (caturdasa-vidya) but they are dismissed by educated people as a product of superstition.